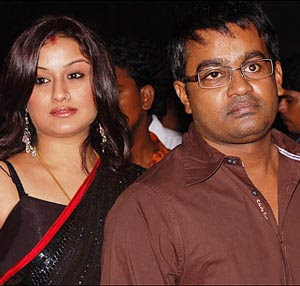 Chennai family court granted divorce to Selvaraghavan(Sri Raghava) and Sonia Agarwal today. The celebrity couple had filed a mutual consent divorce suit and appeared before the family welfare court on March 9 and informed the court that they are firm in their decision. The court had postponed the verdict to Friday, March 12. Today Justice Ramalingam who heard the case granted divorce to the couple. An enviable couple once, Selvaraghavan and Sonia Agarwal fell in love on the sets of the Tamil film 'Kadhal Kondein'. They got married in December 2006. But the happiness lasted only for two years and they filed for divorce with mutual consent in August 2009. 0 Response to "Selva-Sonia Agarwal Divorce Granted"